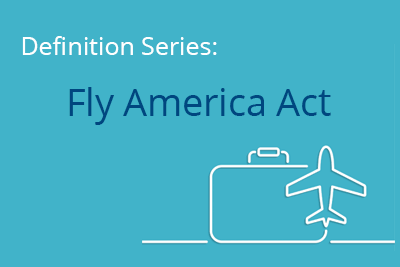 There has been a sizable cutback in business travel during the recent economic downturn. We’ve seen many of our clients reduce their business travel budgets in the 20+ percent range. I’ve spoken to many of my associates, who own travel management companies around the country. They’re all seeing about the same percentage of client travel reductions. 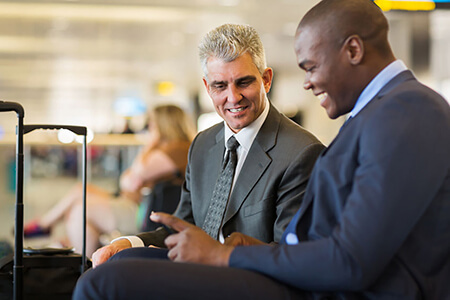 Business travel tends to be a leading economic indicator. It is one of the first expenses a company reduces during an economic downturn and conversely, it tends to be one of the first things to go up during an economic expansion. We have been fortunate because we have been increasing our market share, during the past six months, which has offset some of the travel reductions from our existing clients. There is a certain amount of mission critical travel which can’t be avoided. We have seen our clients respond to the need to cut their travel costs in many ways. Meeting alternatives. We are seeing more clients hold meetings using web conferencing tools like WebEx and GoToMeeting®. Training the trainer. Some Clients are sending fewer people to a training conference and then come back and train their teams. Shorten the trip. Clients are packing more meetings into a shorter period of time to trim an extra day’s expense on the hotel and car rental. Cancel incentive trips. This is partially in response to our government’s portrayal of AIG’s and other financial services industry incentive trips. The second trend we have seen is clients are moving down the value chain. Clients who used to allow business and first class travel overseas have restricted their policy to only allow coach travel. Clients who used to stay at the higher priced hotel chains are moving down to the more moderately priced hotels. We’re seeing clients rent smaller cars and rent them with the less expensive off-airport car rental companies. The third trend we’re seeing is clients are using this opportunity to renegotiate their contracts with their travel vendors. Most airlines have cut their capacity to right-size their “available seats” with the reduced travel demand. Hotels and car rental companies can’t do that as easily. With empty hotel rooms and lots of car rental inventory our clients have been able to get better deals. Business cycles come and go. The successful companies are the ones who can respond quickly without affecting the value they provide to their customers. They will be stronger when the economy turns around… and it will! Mike Cameron; CEO of Christopherson, which is privately owned by him and his wife Camille. They have four children and nine grandchildren.